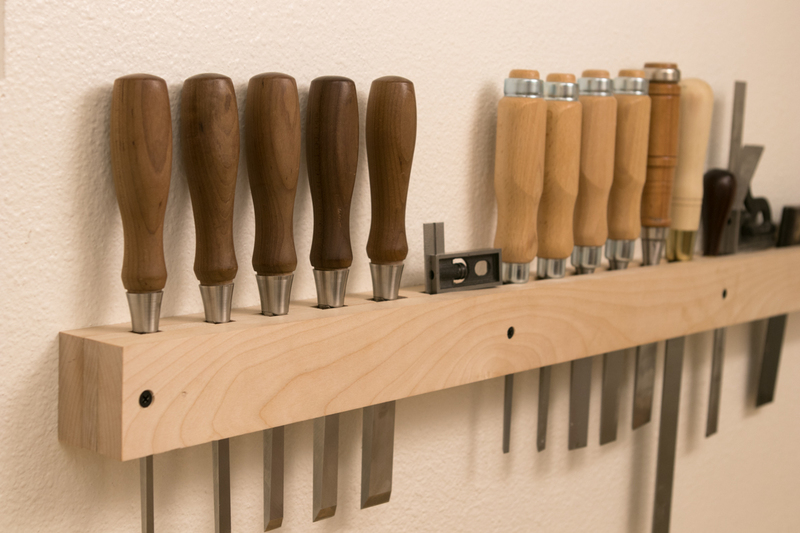 Chisels are probably the simplest of all woodworking tools, yet versatile enough that you'll likely use them on every project. To maintain the best cutting edge, they should be cared for and sharpened regularly: ground, honed, and polished until there's a razor fine edge that cleanly slices through the wood fibers. So, why have mine been just sitting in a box for the last year and a half? I actually don't have an excuse. I mean, lack of proper storage is the answer, but why I haven't done anything about it since I finished my workshop build in late 2016... I really can't justify it. 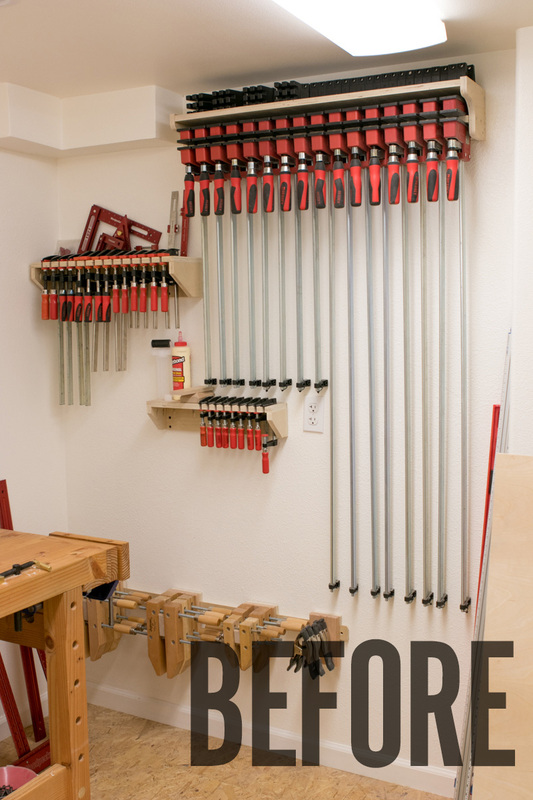 So, over the weekend, I decided to do something about it, and built a simple chisel holder and hand tool rack to keep things organized, within reach, and to protect those finely honed edges. The design is adaptable enough that you can make one of any size, and put the whole thing together in under an hour.